Our parcel of Bonnes Mares is a narrow strip of vineyard lying along the top of the slope and covering 0.36 Ha (0.89 acres). Half the vines were planted in 1988, the other half date from 1961 and 1980. Annual production varies between 900 and 1500 bottles. 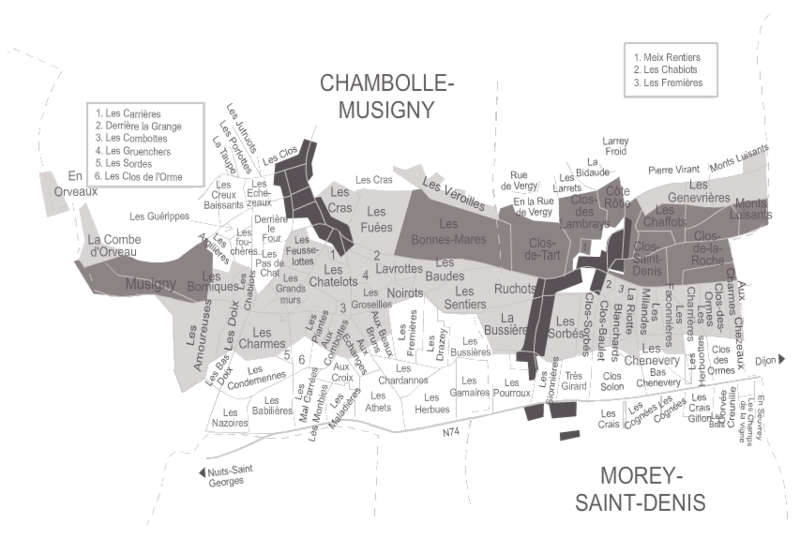 The Bonnes Mares appellation sits astride the village communes of Chambolle-Musigny and Morey-Saint-Denis, it therefore presents characteristics intermediate to both appellations. 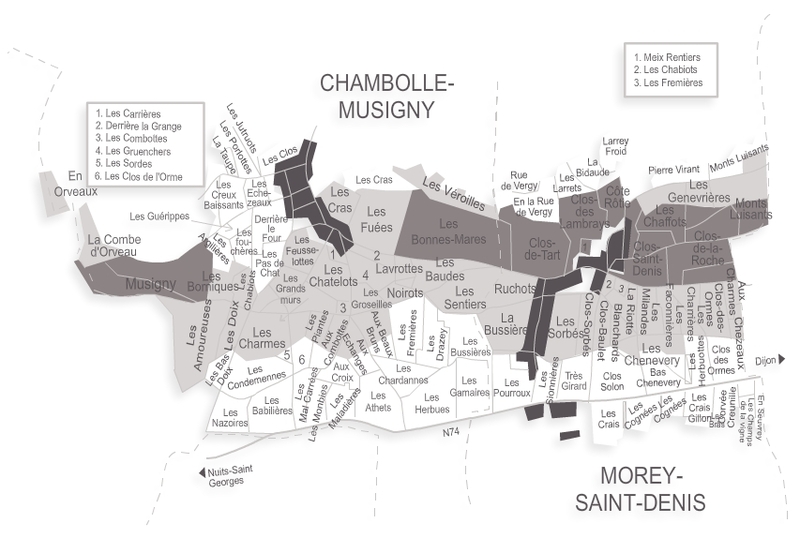 The influence of the Morey terroir gives frankness, firmness and the more earthy character. Then there is the aromatic spectrum of red fruit berries which dominates in Chambolle, blended with more mineral nuances and sometimes hints of forest floor undergrowth. This wine will require a minimum of 5 to10 years ageing.